Someone alert J. Jonah Jameson (and his ripped, muscular arms): we’ve got new photos of Spider-Man to dish up. 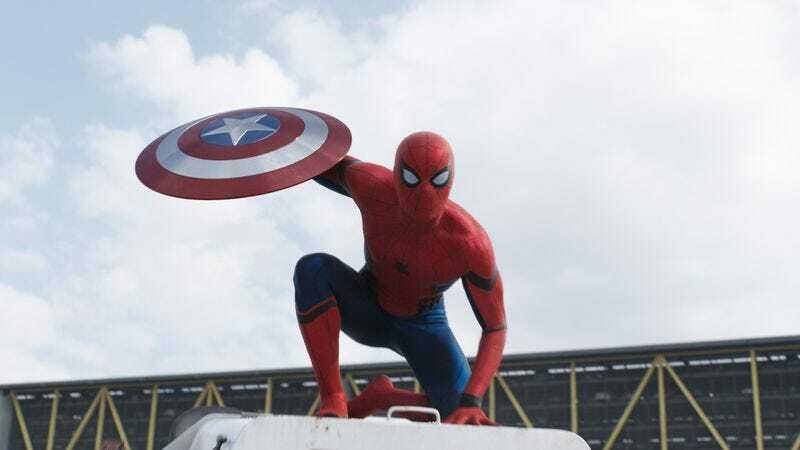 Entertainment site Looper has posted several pictures from the set of the still-filming Spider-Man: Homecoming, showing neophyte web-slinger Tom Holland in costume as your friendly neighborhood fashion bug. We’re not sure what Holland’s Peter Parker is doing hanging out in, around, and on a big concrete pipe—could this be the stunning debut of the terrifying Criminal Contractor? !—but he’s apparently still rocking the costume he wore in the recent Captain America: Civil War.